William H. Keis, Jr. is the Managing Partner and Owner of the law firm Keis George LLP. Bill is engaged in litigation in state and federal courts. He concentrates his practice on personal injury, product liability, fires, explosions, and construction defect cases. 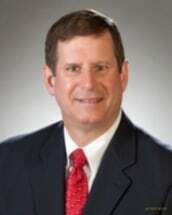 Bill has practiced in the Ohio Supreme Court as well as many of Ohio’s Appellate courts, and has tried close to a one hundred cases in Courts all over Ohio. Bill is a 1977 graduate of Cleveland State University where he studied Pre-Law courses, majoring in Political Science. He is a 1981 graduate of Cleveland-Marshall College of Law. Bill was admitted to the Ohio Bar in 1982. He is also admitted to the U.S. District Court, Northern District of Ohio. Bill is a member of the Cleveland State Bar Association, the Ohio State Bar Association, and the American Bar Association.